E-Complishhas announced that it has been certified PCI Compliant for the ninth year. The payment processing tech company has been accredited since 2009. E-Complish has been recertified while adhering to the strictest and most multi-factored PCI standards yet, version DSS 3.2. Adhering to PCI compliance standards is a far cry from comfortable. Depending on a company’s size, PCI compliance might cost anywhere from tens of thousands to millions of dollars. Putting in the hundreds of hours and installing the new systems necessary to make one’s company PCI compliant might take up to two full years. Even the certification renewal process might take up to six months. Smart companies are outsourcing their PCI Compliance liabilities to Third Party Service Providers like E-Complish. Cost-savings aside, the time savings alone is a factor that turning the tide to Service Provided PCI Compliance. 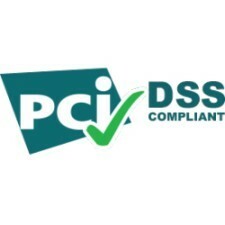 The Payment Card Industry (PCI) Data Security Standard is devised and enforced by the PCI-DSS Standards Council, to detect and to prevent credit card fraud. Any business that accepts, handles or processes credit cards must be PCI compliant with varying degrees of security. These guidelines delineate a series of steps that a merchant, processor or service provider of credit cards must follow without exception. E-Complish being at the highest level of a service provider is required to have a third party Qualified Security Assessor (QSA) assess all aspects, (twelve PCI sections with more than 300 pieces of security evidence), and issue a Report on Compliance (ROC). The ROC is then sent to Visa and MasterCard respectively for verification and certification. Upon completion, an Attestation of Compliance (AOC) certificate is issued by the QSA to E-Complish. The AOC is meant to be the only proof necessary that a service provider would provide a third party without actually divulging any aspects of PCI Compliance security. Credit card payments fraud is a significant problem in the US, costing individual victims several billions of dollars each year and costing merchants three times as much as that. By being Level 1 compliant, E-Complish is certified as a processor that’s safely and securely handling more than 6 million transactions per year (according to Visa’s standards). With the genuine possibility of such mass-scale attacks on personal data security lurking in our modern world, working with a payment processing company that is PCI compliant and is certified is one of the best ways for businesses to protect their customers’ privacy and security, as well as their reputations. E-Complish has made it clear that it fully intends to remain on the leading edge of customer security through this crucial compliance. Since 1998, E-Complish has provided merchants around the country with top online and over-the-phone payment processing services that keep customer data secure and make it easier for retailers to manage transactions. E-Complish uses the latest groundbreaking technology to design payment processing services that deliver ease of use, accuracy, and dependability, personalization capabilities, and automation that improves productivity.